East Asia is richer, more integrated and more stable than ever before, whilst East Asian defense spending is now roughly half of what it was in 1990 and shows no sign of increasing. There is no evidence of any Asian arms race. All countries in the region are seeking diplomatic, not military solutions with each other. Yet this East Asia reality still runs counter to a largely Western narrative that views China's rise as a threat and the region as increasingly unstable. 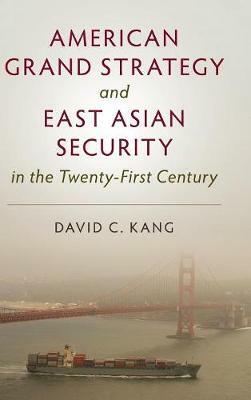 In this important book, David C. Kang argues that American grand strategy should emphasize diplomatic and economic relations with the region, rather than military-first policies. Using longitudinal and comparative data, statistical analysis, and intensive research in selected East Asian countries, he suggests that East Asia is in sync with the American desire to share burdens and that the region may in fact be more stable than popularly believed.